Six months ahead of the June primary, an influential labor group has announced endorsements of 10 local candidates. But it didn’t back the lone Democrat in the San Diego mayoral race or choose between the outgoing Assembly speaker and an incumbent state senator. The San Diego and Imperial Counties Labor Council, AFL-CIO, made its decisions Wednesday night and posted its endorsements Thursday on Facebook and its blog, leaving out a pick for the 39th state Senate District — now represented by Marty Block with a challenge by fellow Democrat and former San Diego Councilwoman Toni Atkins. The Democratic-leaning council, which has committed money and manpower behind candidates in the past, also didn’t come out for announced mayoral candidate Gretchen Newsom, 34, president of the Ocean Beach Town Council and political director locally of the electricians union. 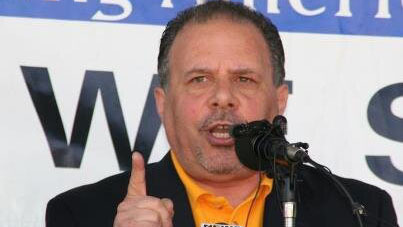 Mickey Kasparian, leader of UFCW Local 135 and longtime president of the Labor Council, has a major voice in picking the challenger to Mayor Kevin Faulconer. The labor council said all endorsed candidates took part in an extensive screening process with rank-and-file members and union leadership, which included a mandatory questionnaire, interview and approval of both the Executive Board and delegates.